i-escape’s co-founder and director Laila spent Christmas and New Year in Vietnam with her husband and 2 teenage boys. Here she shares some of her favourite experiences and holiday snaps. Ho Chi Minh City – or Saigon – is known as the motorbike capital of the world. With over 4 million scooters and bikes in the city, they rule the roads (and pavements) in all directions. They’re piled high with everything and anything – entire families are transported on the back, side and front of these nippy 2-wheelers. To get under the skin of this crazy, bustling city, we spent an amazing (but hair-raising!) day exploring from the back of vintage Vespas driven by knowledgeable locals. We not only saw the famous sights, but also visited hidden temples and markets, drove down tiny back lanes and alleyways, checked out a traditional herbal-medicine shop, and stopped for some lotus-tea refreshment. Our base in Ho Chi Minh City was the stunning Hotel Majestic– a grand hotel built in 1925. 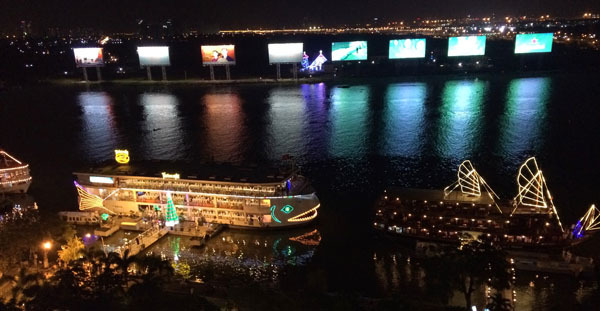 It has maintained much of its opulence, and there’s nothing quite like enjoying a sundown cocktail at the rooftop bar looking out over the Saigon River. 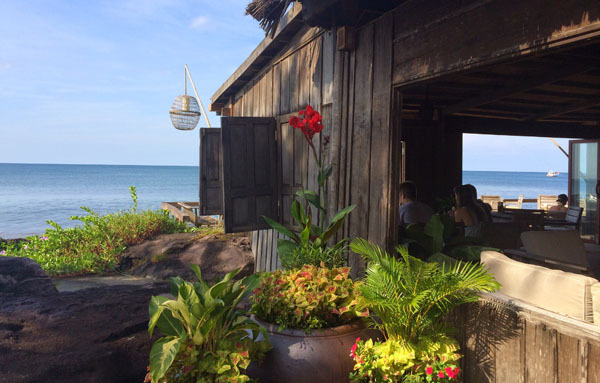 Just a 50-minute flight from Ho Chi Minh, secluded eco-escape Mango Bay on Phu Quoc was the perfect place to spend Christmas and relax. 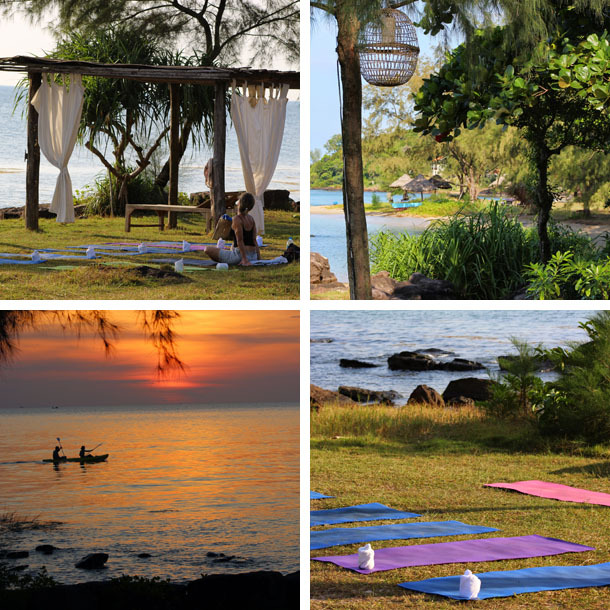 There was something for everyone at this gorgeous jungle-hut-feel retreat – the beach and watersports for the boys, an amazing spa centre for my husband, and daily yoga classes by the sea for me, as well as great food and a wonderful beach bar where everyone could meet up and chill out. 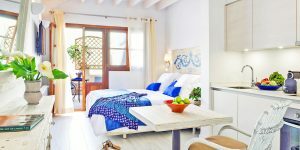 I particularly liked the hotel’s brand-new 2-storey Bay View Villas, with their large terraces and amazing sea views. 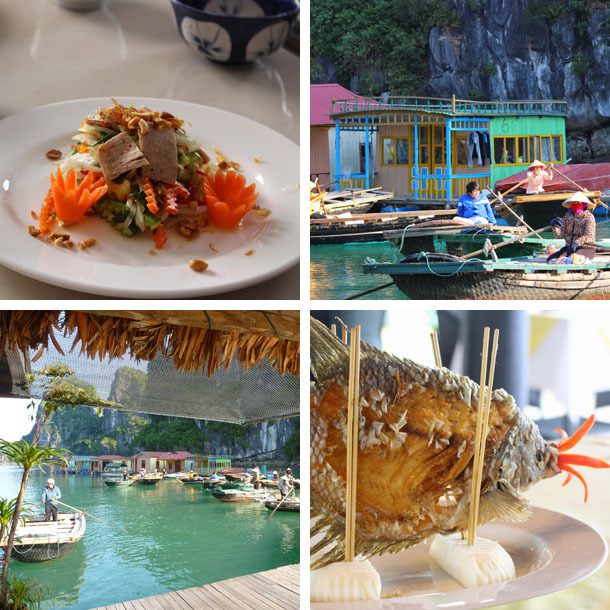 We spent a magical couple of days on board a traditional junk boat in Halong Bay, a UNESCO site and one of Vietnam’s most spectacular natural wonders. Seeing the breathtaking limestone islands jutting sharply out of the water was a highlight that we’ll never forget, as were visiting floating villages, kayaking through limestone tunnels, swimming in emerald-green water, learning to cook some traditional Vietnamese dishes and doing Tai Chi at dawn. 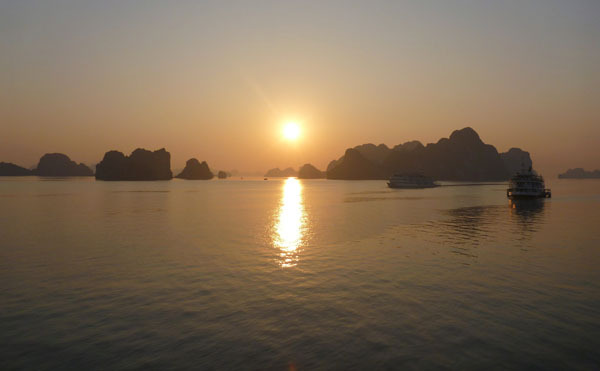 There’s nothing quite like a stay on Cruise Halong. Don’t miss sunrise from the top of the deck – well worth getting up for!